If you’re searching for an apt electric room heater elements in India, we are here to help you in every aspect. We follow the quality-test practices in our industry to ensure a flawless product. The team at Chhaperia strives to produce a single unit by performing tests on the units. 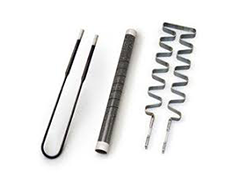 Relevant to home and industrial needs and fulfilling our customers for over two decades, we design and manufacture heating elements. Calculate the space you’re using before installing a room heater. Based on the space, install a room heater so that you feel warmth every time in the winter season. Select the space based on the heater’s warming capacity. Depending on the indoor environment, application, and heating technology, the choice may vary. Compare efficiency before buying one. With energy saving modes, programmable timers, and adjustable thermostats, various heaters are in place. Few heaters may lead to fire hazards. Safety as well as noise coming out from the heaters matter most. Chhaperia produced products have all the aspects, and we satisfy our clients with our deliverables. Are you looking for an electric room heater elements in India? Now, choose our products coming with smooth finishing and easy installments.